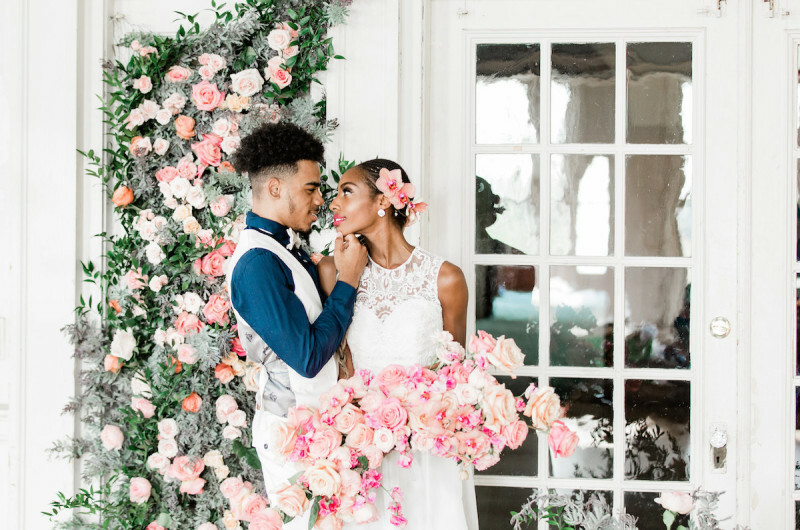 Before you dive into today’s colorful wedding inspiration shoot, we first have to warn you — prepare to lust over the incredible florals! 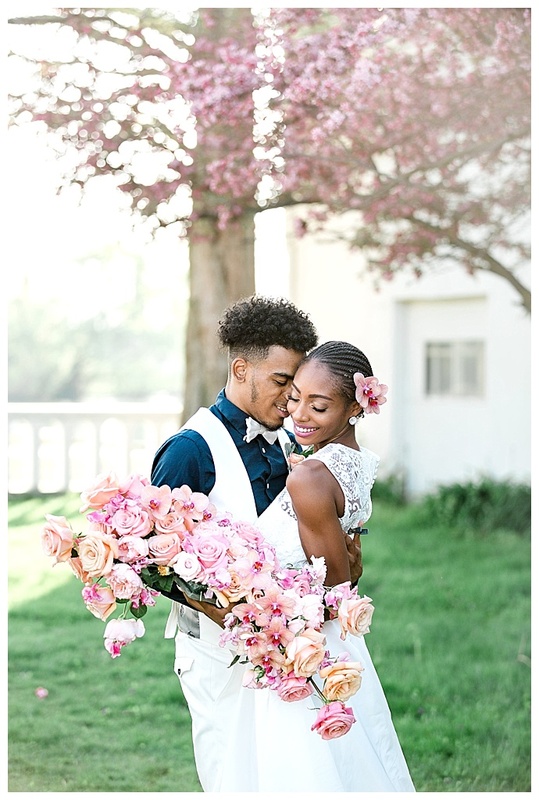 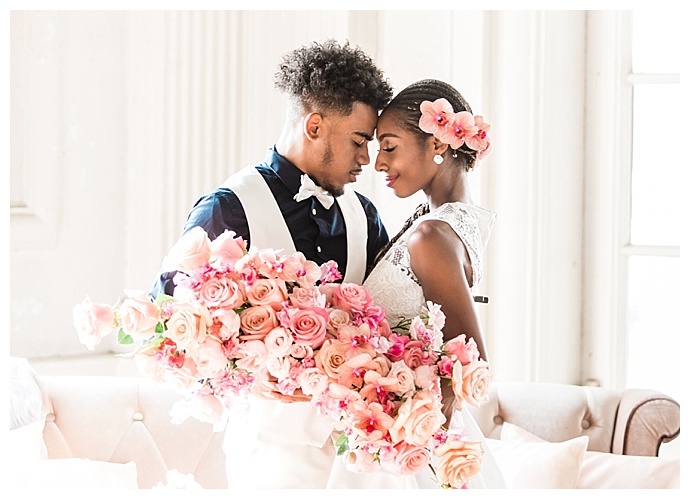 A cascading bouquet of pink and peach roses sprinkled with pink orchids immediately puts a modern touch on this gorgeously styled shoot. 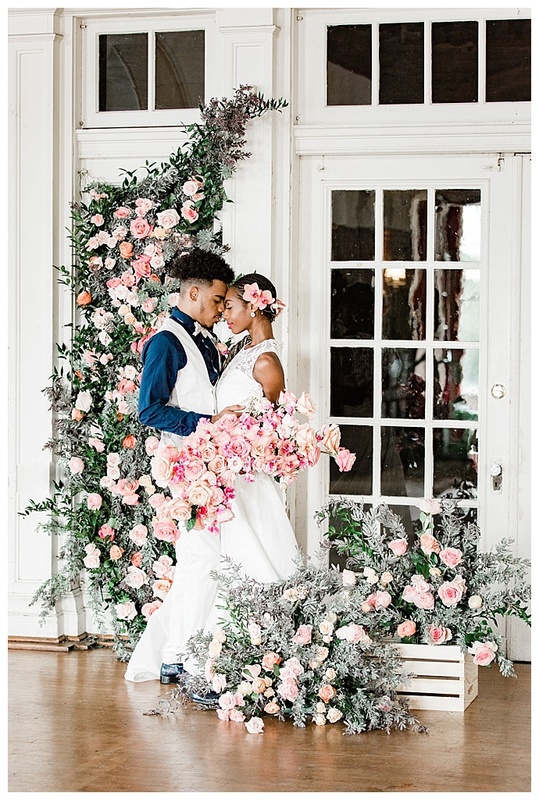 And if that wasn’t enough to make you swoon, add in a lush flower installation with the same beautiful blooms popping against a sea of greenery. 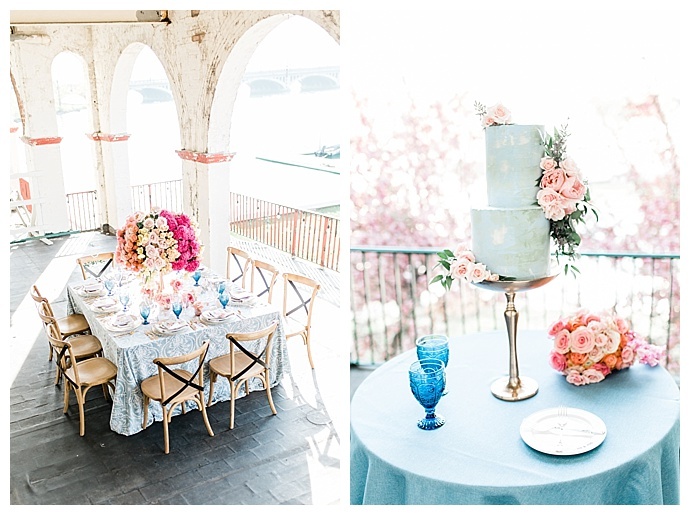 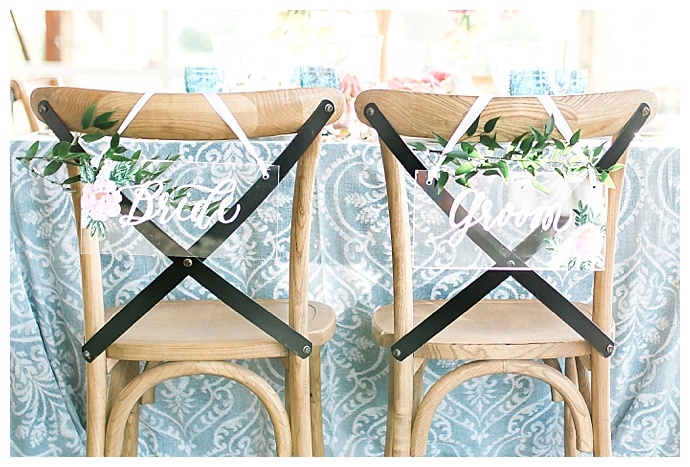 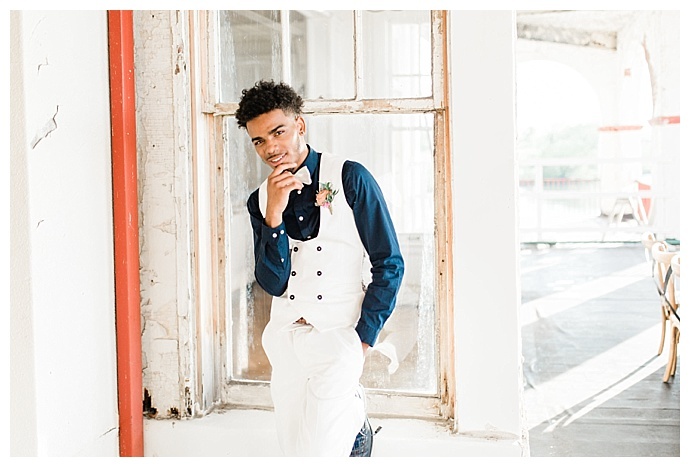 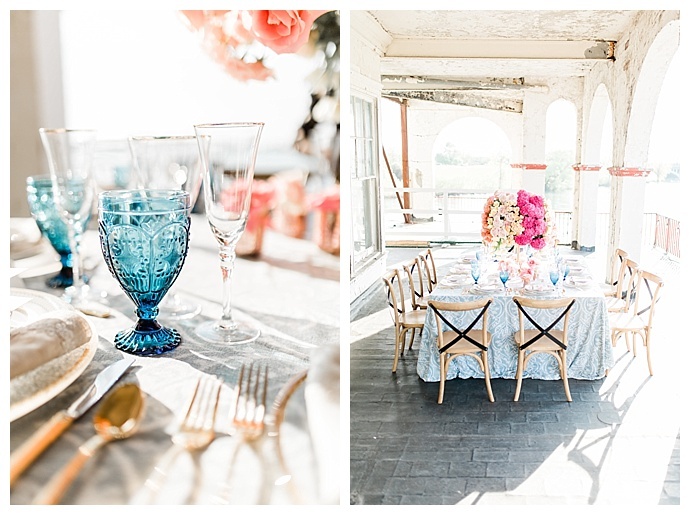 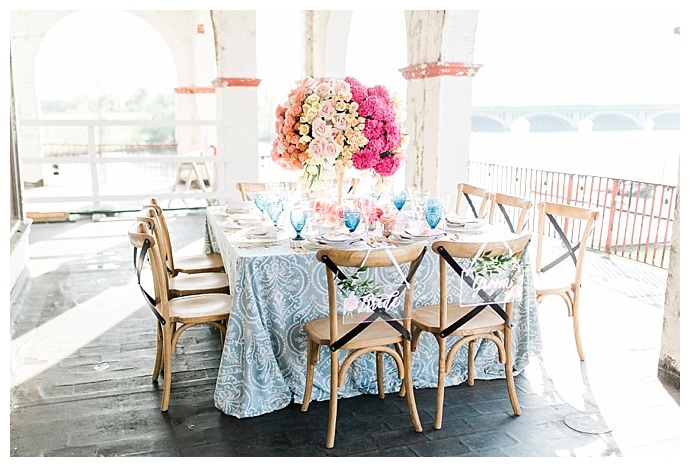 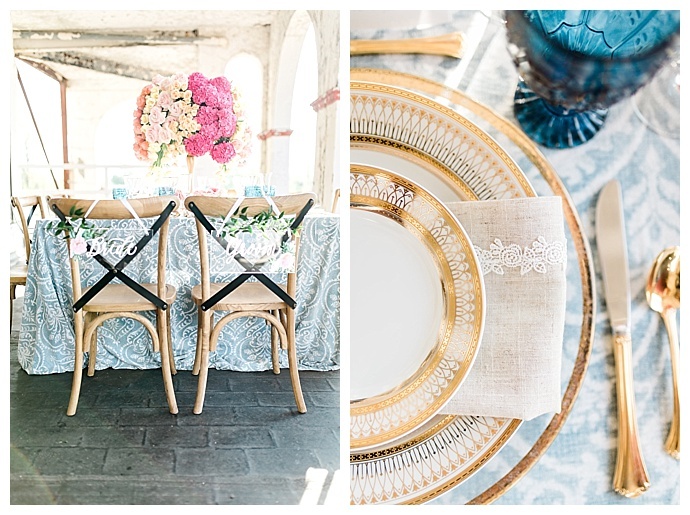 Set at the 115-year-old lakeside venue, the Belle Isle Boat House in Detroit, local wedding pros incorporated dusty blue accents and touches of gold to the table decor, and we simply love the juxtaposition of modern elements against the cracked antiquated archways. 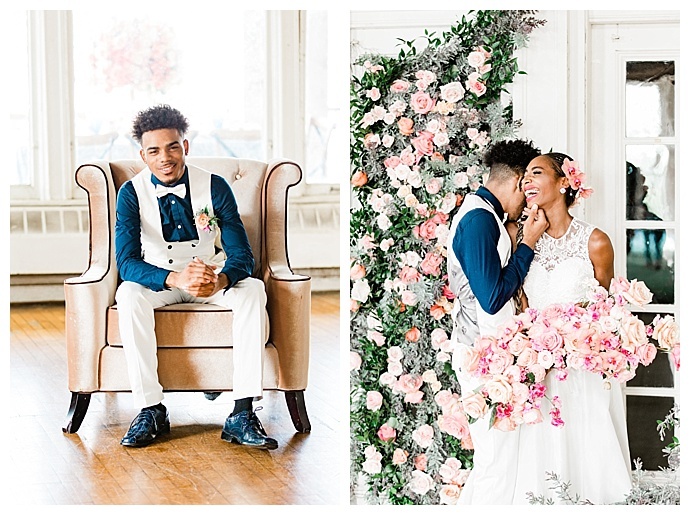 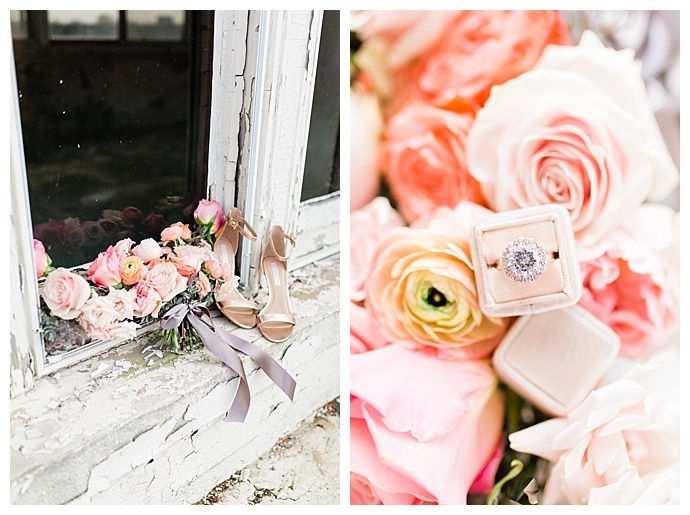 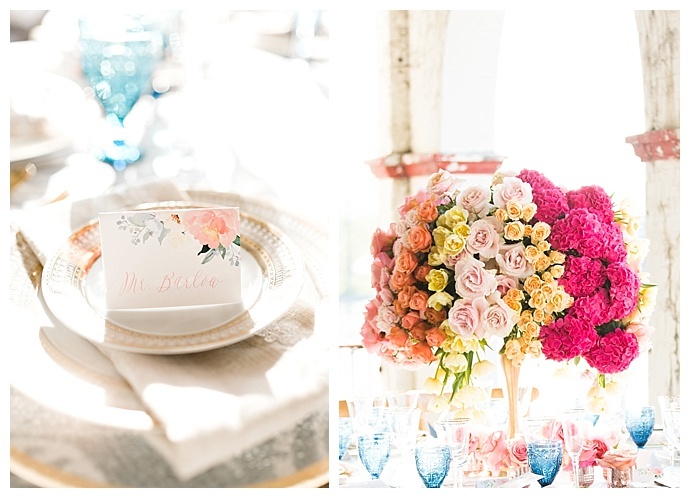 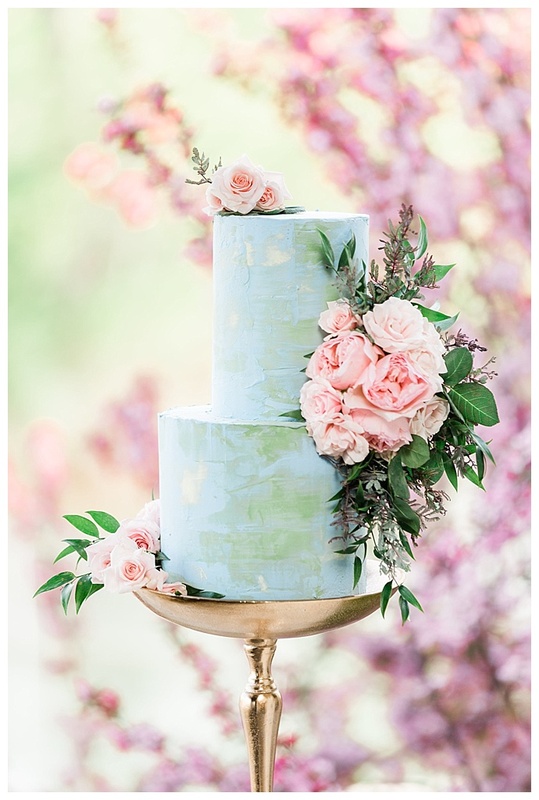 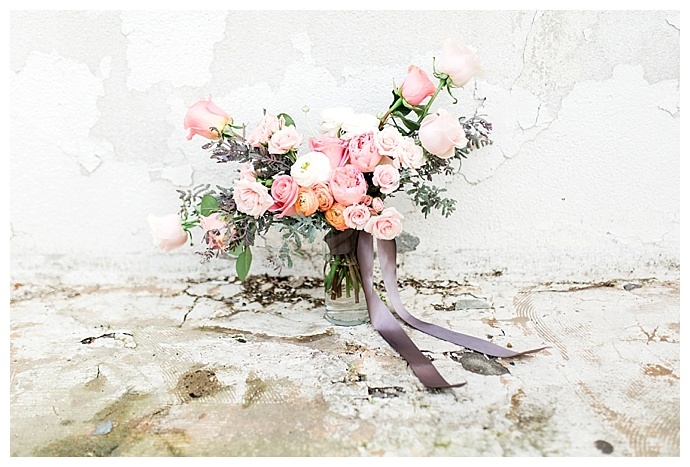 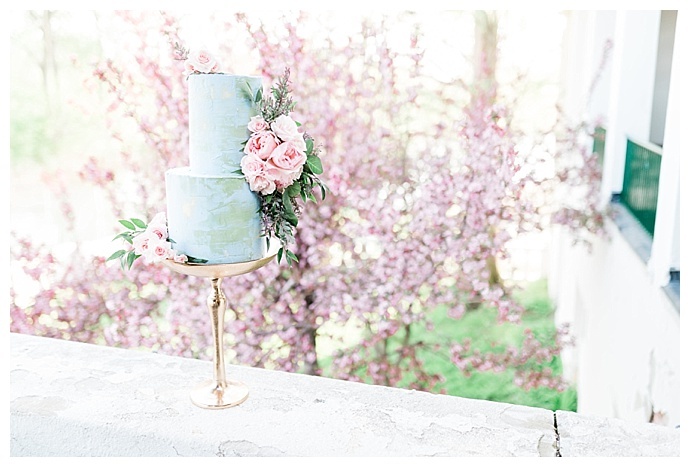 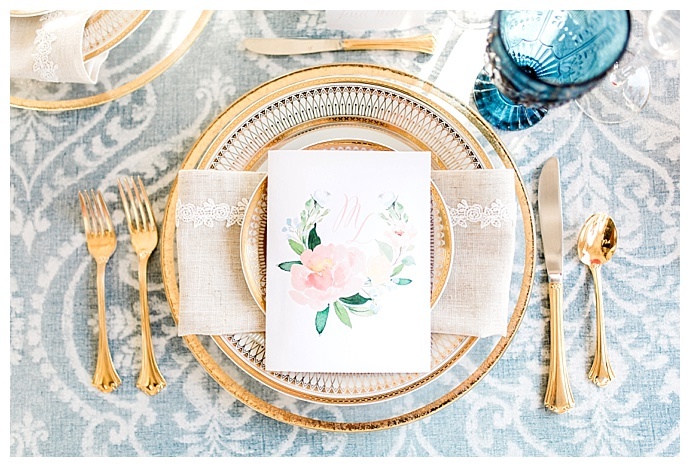 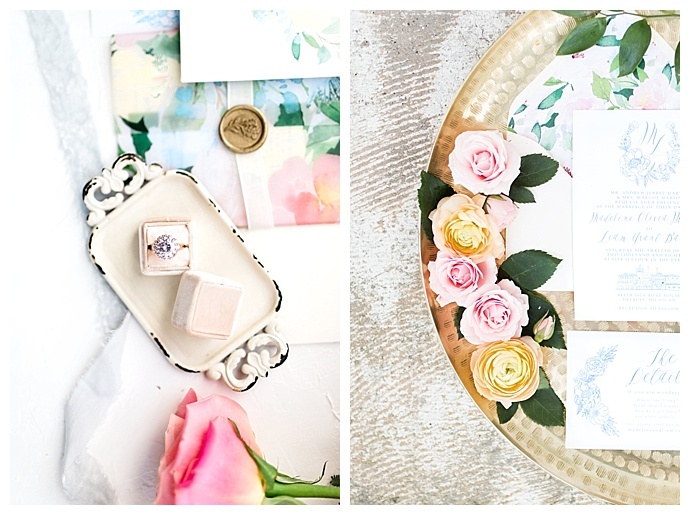 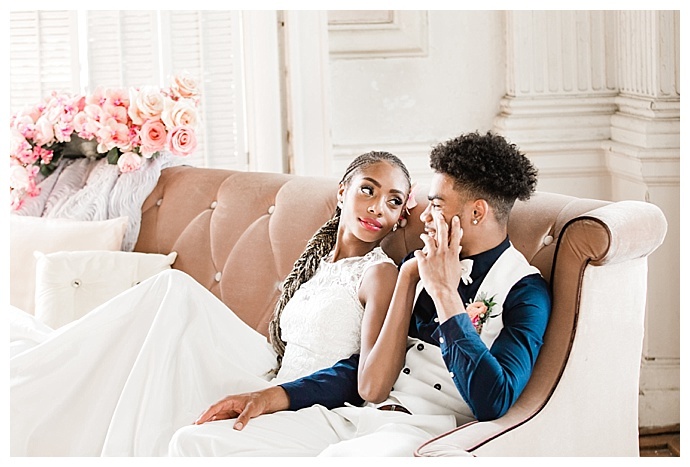 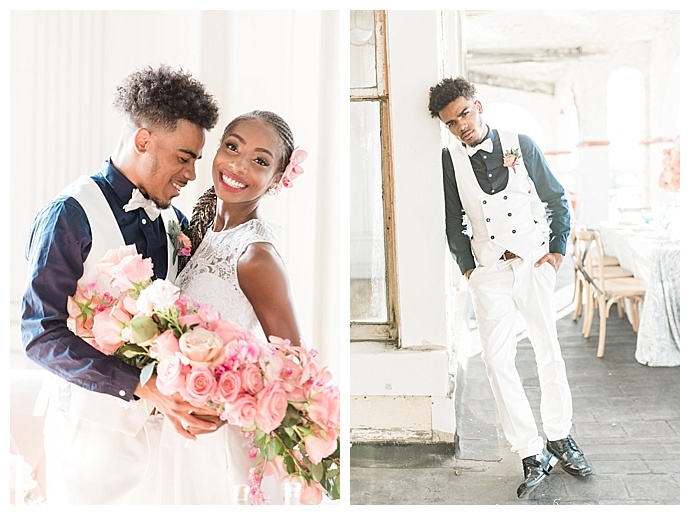 Captured by Megan McGreevy Photography, this colorful, flower-filled inspiration shoot is fashionable and classically romantic in all the right ways. 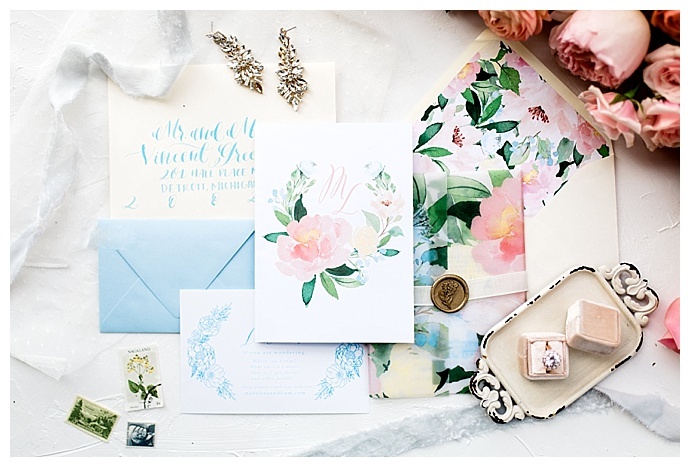 Stationery: West Bloom Paper Co. 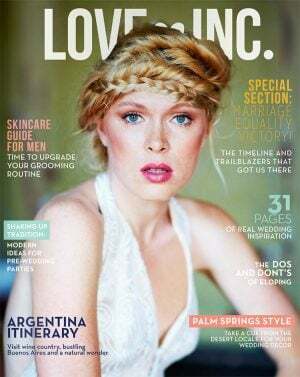 Hair and Makeup: Lena Shkreli & Co.